Ancient grains such as spelt, amaranth, quinoa, einkorn, tritikale, emmer, kamut, and teff are trending their way into the mainstream of the American diet as ingredients in salads, entrees, desserts, breads, and other baked goods. Buoyed by record levels of health awareness, a surge of gluten-free baked goods, and keen marketing, products made with ancient grains are rising out of the distant past and finding their way onto mainstream grocery shelves. Grains such as quinoa, amaranth, spelt and kamut are called “ancient” because they’ve been around, unchanged, for millennia. By contrast, corn, rice and modern varieties of wheat (such as hard white wheat and hard red spring wheat) have been bred selectively over thousands of years to look and taste much different from their distant ancestors. Modern corn, for example, bears little resemblance to wild corn from long ago. 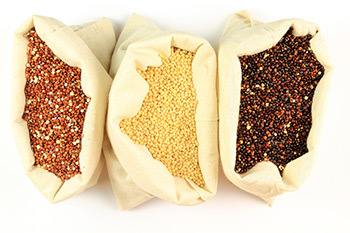 Products using these ancient grains come in all shapes and sizes. 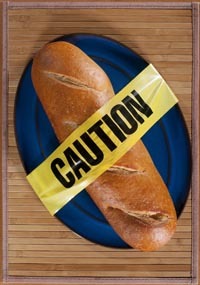 Just because a recipe includes the use of these grains does not guarantee that it is healthy. In choosing bread for example, regardless of grain type, one should be sure that it has at least three grams of fiber per slice, and a limited number of ingredients. You can learn more about ancient grains in my cooking demonstration at Natur-Tyme’s annual health extravaganza on April 14th at the New York State Fairgrounds.